Most cultures throughout the world have developed stories of fabulous beasts and legendary creatures. Probably the most universal of these is the dragon. Although it appears across many lands and over many centuries, it is seen as a symbol of China perhaps more than any other creature, real or imaginary. The first hexagram of the I Ching – ‘Creation’, is associated with the dragon, as is the Emperor who was considered the earthly representative of the heavens. In contrast, the symbol of the Empress is the phoenix. Here we have another creature about which legends have arisen throughout many varying times and diverse cultures. Again these stories and associations are particularly prevalent in China. In the symbolism of the two great energies of yin and yang, the phoenix and the dragon are seen as encompassing and encapsulating these powers and they are frequently represented together. Although the dragon is seen as predominantly yang and the phoenix as yin, each of them embodies the cosmic unity of yin-yang in itself. This transcendence of gender means that the yang dragon of the heavens can become the yin dragon of the waters. The yin phoenix can become the yang vermilion bird of fire. They therefore individually and together symbolise the mystic powers of yin and yang and resolve the creative elements of fire and water. The dragon is the animating principle of nature and of places (in Feng Shui, earth energy lines are known as dragon veins). It has been given many titles – the Terrible, the Magnificent, the Abominable, the Embracer, the Overseer, the Lord of the World. In the west, dragons are usually malevolent and their fate invariably involves being slain by the hero. They are considered to be fire breathers. By contrast, in the east, dragons are often benevolent and rarely are they fire breathers. In fact they are more commonly associated with the water element, residing in deep expanses of water, the larger the expanse, the more powerful the dragon. The Dragon King (Lung Wang) lives in the depths of the deepest ocean. The western dragon is usually depicted with wings, whereas in the east, although they have the power to take to the skies in flight, they are invariably wingless (the snake with legs). They have the ability to rise to the heavens and control weather conditions – often bringing wind, rain and thunder. Throughout east and west, a common characteristic is the dragon’s association as a guardian of treasure. On a metaphorical level, this may be considered to be an inner treasure where the seeker has to encounter danger and their own fears, in order to attain the pearl of purity – the pearl of perfection. 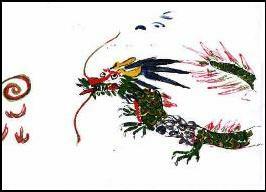 The Chinese dragon is often seen with a pearl in one of its talons or in its mouth. The pearl represents the moon, purity, perfection and enlightenment. A pearl in the mouth is the moon about to be eaten (waning moon) or disgorged (waxing moon). Consequently the dragon is the embodiment of the powers of transformation. In fact the word hurricane comes from the name of Huracan the dragon of the Caribbean – The Weather Maker. Howard Reid in his book ‘Arthur – The Dragon King’ suggests links between eastern and western dragons. There appears to be evidence that legions of men from regions around Mongolia were conscripted into the Roman army and posted to Britain, bringing with them their dragon emblems on flags and artworks. Later we find in the Arthurian legends, that Arthur’s father was Uther Pendragon (chief or head dragon). A tailed comet travelling across the sky (a dragon star) heralded Arthur’s birth. After attaining kingship, Arthur rode with the symbol of the dragon on his standards and to this day, the Welsh (the descendants of the early Britons), on their flag show the red dragon. The phoenix shares much symbolism with other birds. It can be seen as a mediator between heaven and earth – carrying prayers and promises up to the sky and blessings and ordinances down to earth. Reputedly the phoenix harms nothing, eating only seed and drinking only heavenly dew. Western and Greek mythology place the phoenix in Arabia. It lives for several centuries before being consumed by flames, after which it rises, reborn from the pyre. It is therefore a symbol of death and rebirth – of regeneration. In Arabia, the equivalent bird is known as the Roc, which features in the Arabic tales ‘The Thousand and One Nights’. It is a sacred bird in Egyptian religion; being closely associated with the sun --- it arises from the underworld each morning --- its feathers shimmering with the golden colours of fire. American Indians have legends of a similar bird that they call the Thunderbird which issues flashes of lightening from its beak, and the beating of its wings creates thunder. 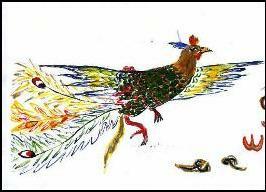 In China the phoenix represents the empress. Its plumage is of the 5 mystical colours (red, yellow, green, white/violet and blue/black) and its song contains the 5 notes of the pentatonic scale. It has a tail feather for each of the months of the year, that is 12 or 13 depending on whether reckoned by solar or lunar months. Its appearance is considered to be auspicious and amongst other things may signify the coming of a great sage. A look at some ways in which these two creatures, the dragon and the phoenix, relate to the martial arts and to weaponry. Whilst training in China, I was told that the double-edged sword should have the quality of the dragon. 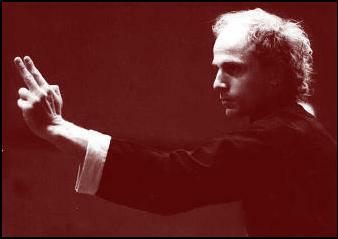 The moves have subtlety and fluidity – containing twisting, turning and coiling aspects. At times appearing gentle, then darting in unpredictable ways and from unexpected places. Just as the dragon encompasses qualities of yin and yang, so too does the sword. Often the Chinese sword will have inscribed upon it, a dragon on one side and a phoenix on the other. In fact the phrase ‘a double edged sword’ is frequently used as a metaphor for when a certain situation has both obvious and hidden outcomes or positive and negative connotations. The sword is both an emblem of (the ability to administer) justice and a symbol of courage, power and the solar hero. Many swords are reputed to have magical powers bestowed upon them and have the ability to heal as well as to harm. 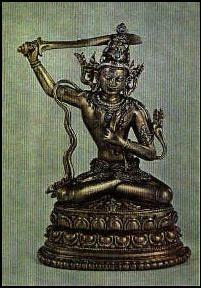 The Tibetan deity of wisdom is Manjushri who is usually depicted wielding a sword above his head to symbolise the ability to use its blade (the sharp mind) to cut through the veils of ignorance. It is said that when King Arthur received Excalibur, Merlin asked him, which he prized the most, the sword or the scabbard? Arthur pronounced that it was of course the sword. However, Merlin advised him to take great care of the scabbard for it was at least as powerful as the sword (it was after the scabbard was taken from Arthur that he fell in battle). Apart from its magical connotations, Merlin was advising Arthur to pay at least as much attention to the yin, receptive and conciliatory qualities as to the outgoing and active yang tendencies represented by the sword of kingship. Is double-edged and cuts on either side”. Just as the dragon energy relates with the sword, the phoenix is often associated with the fan. The fan has strong feminine / yin associations and yet it also has its balancing yang aspects. Kung Fu fans are made from a variety of materials. Struts may be metal, wood; bone or plastic and the material may be silk or some other fine yet resilient material. The material is its yin aspect whilst the blades are its yang aspect. Just as the sword frequently has a dragon and a phoenix engraved on each side of the blade, similarly fans often have phoenix and dragon designs on them. I have several Kung Fu fans made from a variety of materials and coming from a variety of sources (China, Taiwan and Hong Kong). Upon counting the blades, I found that all had either 12 or 13. Could this be a vestige of its symbolic connection with the phoenix which has 12 or 13 tail feathers for the solar and lunar years? On the other hand it may just be that this is the number required to give it the appropriate strength – maybe both reasons hold true. The shape of the fan is said to typify life, starting at the point of the rivet and expanding as life experience widens out. Its opening and closing depict lunar changes and feminine changeability within the moon cycles. 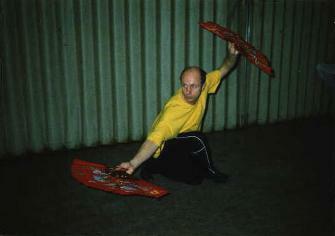 In Taoism, the fan is seen as a symbol of the spirit as moving air. It is associated with birds, flight and a representation of liberation from the formal world and release into the realm of the immortals. It is also an emblem of one of the 8 Immortals – Chung-li Chuan. Chung-li Chuan lived as a hermit and alchemist. He used his fan to waft flames within the process of transforming various substances into silver, which he then distributed to the poor. Upon attaining immortality, it is said that his cave filled with strange music and clouds of many hues and a magical bird (a white stork) carried him to the Isles of P’eng-lai (paradise). There is a constellation in the skies for both the dragon and the phoenix. In the northern hemisphere is the constellation of Draco the Dragon that winds and coils its way between the Great Bear (Ursa Major), the Lesser Bear (Ursa Minor) and Polaris the Pole Star. In the southern hemisphere (and therefore not visible from Europe), is the Phoenix. Although only officially named in 1603 – this constellation has almost universally been recognised by many cultures as a bird, having been called the Griffin, the Ostrich (Arabia) and the Fire Bird (China).